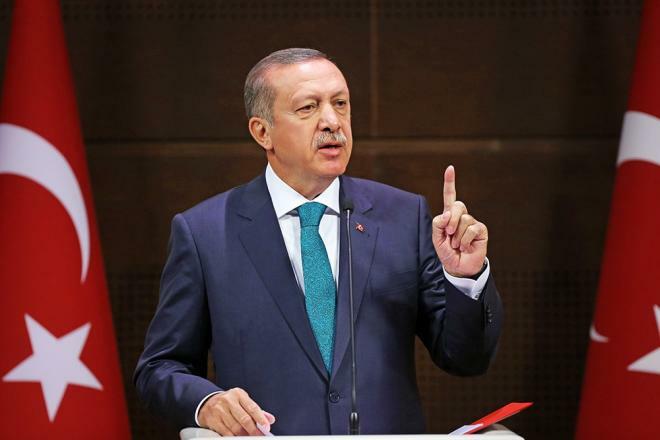 Turkish President Recep Tayyip Erdogan expressed gratitude to Azerbaijani President Ilham Aliyevfor his first foreign visit to Ankara after winning the April 11 presidential election. Turkey will continue cooperation with Azerbaijan in all areas, Erdogan said at a joint press conference with Azerbaijani President Ilham Aliyev in Ankara on April 25. “Azerbaijan will continue to develop under the leadership of President Ilham Aliyev,” he added. Erdogan reminded that he made his fist foreign visit to Azerbaijan after being elected as the Turkish president. “God willing, I will pay my first visit to Azerbaijan as the Turkish president after the elections scheduled for June 24,” he said.